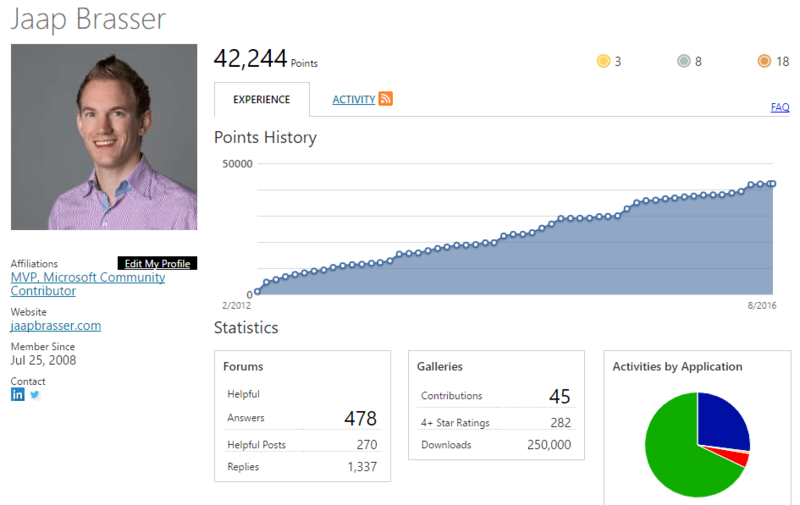 Approximately one year ago I saw the number of downloads tick over a hundred thousand, today my total downloads from the TechNet Script Gallery has reached 250,000. To celebrate this milestone I have uploaded all of the scripts I have stored in the TechNet Script Gallery also to GitHub to simplify the updating and collaboration with others. As I personally mostly see benefit in sharing of modules and not so much single scripts and function I am working on converting some of the scripts I have written into modules and once they are finalized I will upload those to the PowerShell Gallery as well. So my question to the community is as follows, which improvements are you most interested in or what would you like to see next? Feel free to use the comment section underneath this post to share your ideas or feedback. That is it for now, until the next milestone! This entry was posted in PowerShell and tagged Blog, GitHub, PowerShell Gallery, PowerShellGallery.com, Script, Scripts, Technet, TechNet Script Gallery on 2016-08-10 by Jaap Brasser.